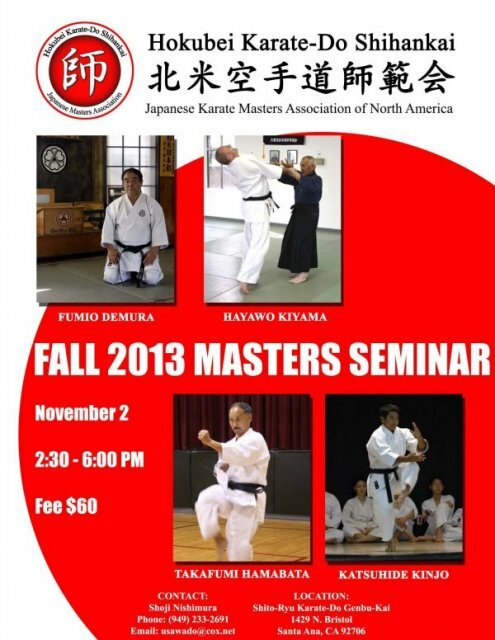 This one seminar will allow you to experience a wide variety of skills and knowledge from different fields of Japanese Martial Arts. We are excited to host this special event and we hope that you will be able toattend. Submitted by ロレックス腕時計 (not verified) on March 29, 2014 - 1:24am. Submitted by necromancer (not verified) on April 22, 2014 - 3:41am. This masters' seminar would definitely be awesome. There would be lots of karate-do masters that would share their skills. Submitted by Dr Oz Forskolin (not verified) on September 27, 2014 - 7:16am. Pretty useful information. I am actually blessed to read this content. Thanks for giving us this advantageous knowledge. I acknowledge this post and I would like bookmark this post.